You see a group of children playing every day in the garden. You decide to let your child experience the same world. But the next day you realize that he has high temperature and is now a victim of viral infection. The other day you let him have ice-cream to his heart’s content but the next day you see him gripped with cold, cough and sore throat, unlike others who throw themselves on ice cubes and ice creams every next day. This clearly infers that your child’s life is at stake and you need to build his body strong enough to survive all the odds. There were times when people did not bother to drink water directly from lakes and wells. And now you see people installing filters such as Kents etc at their home-kitchens with the fear of getting engulfed by contagious diseases. Although today you see people in B-towns and other metro cities living a healthy life trying to be choosy while eating and drinking, they live constantly in the fear of losing whatever they have gained until now. Do you think living such a life is healthy? What does this term actually mean? Health is not only about building muscles and to deepen your cuttings but also about how happy can you carry your body along with the everyday chaos. Today we have forgotten to live freely and happily and still, they reply greetings as ‘I am in good health’. Health isn’t the state of your body it is the state of your mind. This is where meditation and health concurrently come into the picture. Now you might counter fire this statement as meditating is limited to just develop your attitude and not the body. No doubt, our body is more or less like an electronic gadget that you see in the market. When the seller closes the deal with you he advises you to use the gadget to its utmost level, because its functioning is enhanced further when kept in working condition. The same goes for our human body. This body should be in constant motion to sustain for years in a healthy way. The more you push yourselves to extremes the more you see getting agile each day. One more aspect that plays a vital role when you need to preserve this healthy state is your immune system. For instance, suppose you have a healthy state of your body and you encounter malaria. This is something inevitable, isn’t it? This is when the resistance power of your immune system counts. It is scientifically proven that apart from a nutritious diet and regular fitness exercise, meditation is proven to be one of the most effective ways of building a strong immune system. There is this thing called the left and the right brain coherence. To understand this 3 pounds weighing brain scientists and neurologists have bifurcated it into left and right part. The left brain usually stores information that is passed on by the five sensory organs of this human body. This is also that region of the brain which is responsible for producing immune cells. The right brain caches information that is obtained from different parts of the body. When you compare brains of mindful persons with those who don’t meditate you will find a great difference in the coherence between these two parts. For your mind and body to function effectively well, your both sides of the brain should vibrate or in general, terms should work with the same intensity or frequency. This indicates that along with the right part making its progress the left part which receives information in bulks is also able to communicate with the other part maintaining agility on both sides. Then and only then will you be able to experience the zenith of satisfaction, health, and happiness. Also after an extensive survey, it was found that people who have been meditative for a decade have shown a considerable amount of immune cells i.e. lymphocytes in their body. Recently the immune system was given another name as being the ‘floating brain’. This is because of its smart communication technique that it makes with the brain. The brain sends the signal to all parts and cells of the body through chemical messages. The Immune cells have the ability to communicate with the brain through these messages. Hence any state of the mind whether euphoric or sad the immune systems tend to react to these mindful or mindless conditions. This is the sole reason why it is believed that our state of mind is directly proportional to the state of this body. 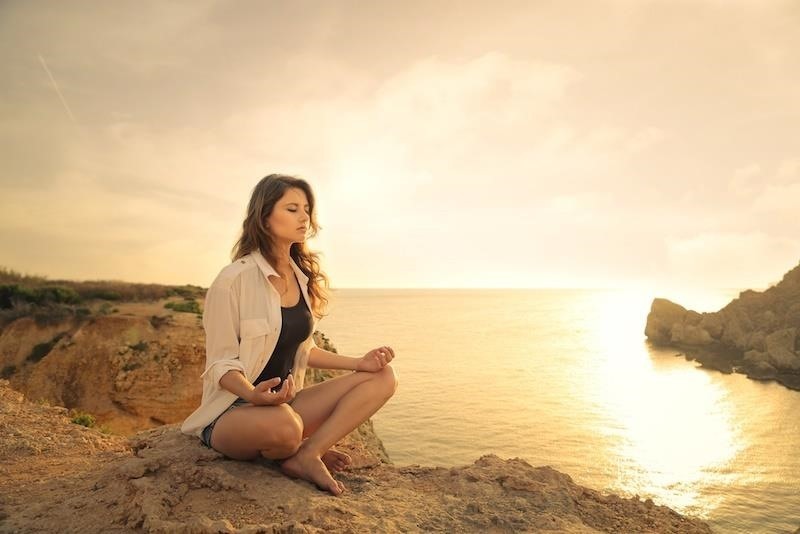 Mindfulness is also seen to alter our gene structure of cells that fight viral infections. Although we cannot totally eliminate such viral attacks but being meditative for a long term gives a person the ability and confidence to survive in the best possible state during such illness. Also, you may have been the victim of all the taunts targeted at you from your parents or grandmas saying that they never encountered situations where they have to deal with doctors so frequently as we do. This has become another illogical way of minding one’s health and thus keeping the immune system of our body in the dormant state all the time. We consume medicines when we still feel ‘just feverish’ and get up happy the next morning. This ritual that we have adapted to not challenge our immune systems to outside viral threats have made its power to remain stagnant. This should now be avoided and instead of medicines now you need to opt of meditation. The everlasting sense of happiness you will experience with its regular intake is sure to reap benefits. The higher level of antibodies, positive changes in the hormonal structure, adequate sleep are some of the side effects of meditations and are sure to bore long-lasting fruits in the near future.